Acclaimed Thai artist Surasi Kusolwong is challenging art lovers to get down and dirty for the chance to get their hands on a real gold necklace. 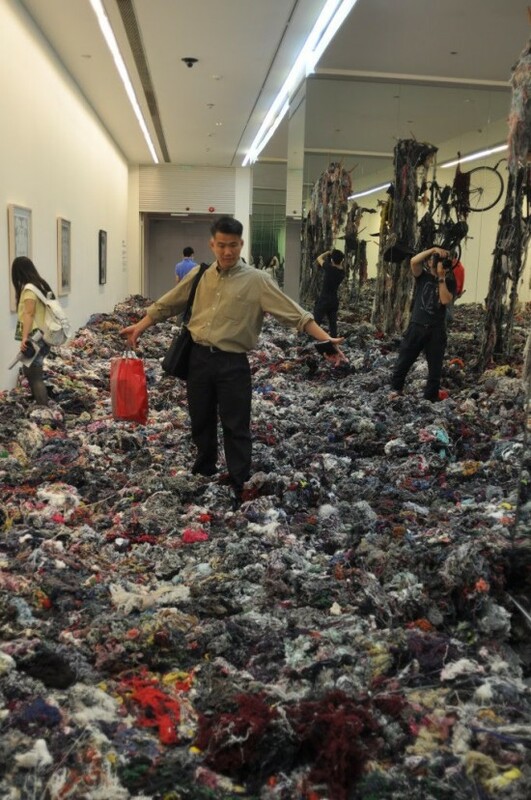 Kusolwong’s latest art installation, called Sickness, is one big pile of colorful wool and yearn, but it contains precious treasures in the shape of gold necklaces planted by the artist himself. 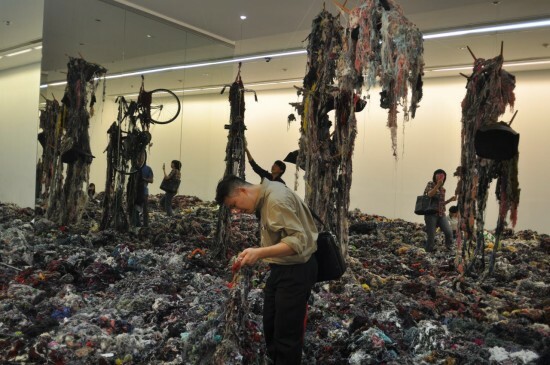 Lucky visitors at the Bangkok Art and Culture Center have the chance to get down on all four and look for one of the ten gold necklaces hidden withing the sea of thread waste. There is no info on how long a person is allowed to search for the precious necklaces worth hundreds of dollars, but I’m thinking it’s not a lot of time, considering only one of the ten necklaces has been found since the Sickness exhibition opened, on August 21. If someone manages to find one of the small treasures they are allowed to keep it. This isn’t the first time Surasi Kusolwong staged an artistic gold rush. He has filled museums and art centers with tonnes of of thread waste in 2009 and 2010, but only planted 1 gold necklace engraved with the Chinese symbol Fortune. I guess he just felt more generous this time around, and with the ever-growing price of gold, I’m pretty sure there’s a line outside the Bangkok Art and Culture Center right now.